Here is the link to the Fall 2015 Network News; 41 pages of news and information of interest to progressive Presbyterians. 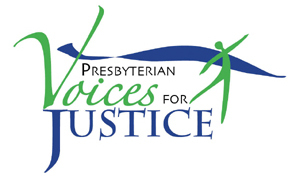 Our lead article was written by the ModeRADA entitled, “Justice in the PCUSA.” There is an analysis of the “Foothills Overtures” (004 and 005) contributed by Gene TeSelle along with a variety of news from our affinity groups and items of note from the denomination’s news service. Several PV4J Coordinating Team members have also written articles for this issue. Many thanks to all who contributed stories and announcements. As always, if you have a particular issue or item of interest to share with our constituents, please email me, luseana@nullme.com. Thanks for your continued support and remember, to keep up with daily news, visit our Facebook page: Presbyterian Voices for Justice. The Coordinating Team continues to meet for monthly conference calls and you will read in Network News about some of the events we are planning for GA 2016 in Portland.